One of the many roofing components that homeowners oftentimes only have a vague understanding of is the subject of roof ventilation. In fact, roof ventilation seems to be a rather controversial topic in the roofing world with some putting too much or too little emphasis on the importance of proper roof ventilation and its benefits for your roof and home. While proper roof ventilation of your Glendale roof may not be the Alpha and Omega of the roof construction process, in my opinion, having the right roof ventilation set-up for your roof. As with most roofing issues, the most important part is to educate your clients about the issue at hand so they can make informed decisions and also recognize when their contractor is opting for a short cut. Roof Ventilation, when it’s done right, balances the air flow between the inside and outside of your home and essentially allows your home to breathe. We all know that warm air tends to rise up. When warm air rises in your home -and especially your attic- and has no way of escaping it will collect as condensation. Condensation, of course, is moisture and moisture is never a good thing to have in your roofing structure. Condensations, just like a roof leak can cause serious issues such as mold, mildew, material deterioration, rot and more. If hot air can’t escape it will heat your attic and your home and cause your cooling bill to skyrocket. As mentioned above, if the warm air rises and has no way of escaping it will condensate and this condensation can lead to mold and mildew which is not only unsightly but can also be very unhealthy. Condensation does not only occur during summer months, but also during the winter season, when warm inside air rises and meets the cold inside of your roof. If the condensation problem is not remedies it can cause the sheathing to break down and weakening your roof. If this has happened, a Glendale roof repair expert can help you out. Prolonged exposure to moisture build up from condensation can lead to roof deterioration on almost any component of your roof. It can weaken the structure, cause beams to soften and rot. It can also cause the underlayment to break down which can lead to roof leaks and make a tile r and r necessary. 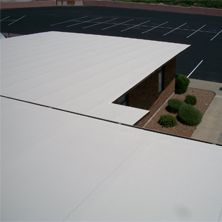 Additionally, it may make it dangerous for your Arizona roofer to walk on your roof, because the support is not as strong or predictable as it should be. Ice dams may not be all that common in the Glendale area, but in North Arizona they are not unheard of. Ice dams form when the heat escapes from a poorly insulated roof or attic and melts the snow on top of the roof which in turn refreezes upon running of your roof. The ice can thicken and push under shingle or tiles and cause major damage when it starts to thaw by creating leaks, for example. It can also be potentially dangerous if it slides off the roof and hits a pedestrian walking under your roof. Where water and metal meet there will be rust. Well most of the time, at least. But condensation can definitely cause the nails in your roofing structure to rust and weaken. 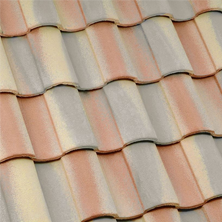 This can potential lead to loss of shingles and other roofing materials. If you discover rusty nails, you may also want to check plumbing lines and air conditioning ducts for rust. Rust spreads and you want to make sure to contain it as much as possible. If you do not feel up to the challenge of checking your own attic, contact a professional Glendale roofing contractor to help you out. If you attic is hot, then your air ducts are hot and your HVAC system (mainly your air conditioner) has to work harder. This can cause it to fail sooner and you will have to replace it. Even if your unit can keep up with the challenge, it will just keep your cooling bill unnecessarily high. Proper roof ventilation can save you bundles of money down the road. When condensation persists it can seep into your roofing deck and cause the sheathing adhesives to dissolve. This in turn can cause your roof to warp, sag or feel spongy and make it dangerous to walk on. 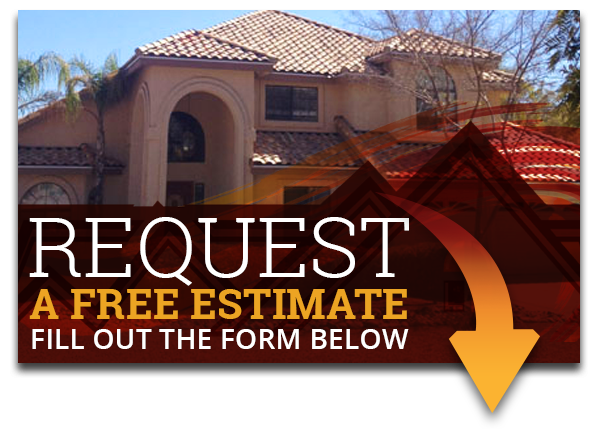 If you notice any of the above issues contact your Glendale, AZ 85310 roofing contractor right away. Many homeowners are unaware of the importance of proper roofing ventilation for their roof. Proper roofing ventilation ensures that your roof lasts longer, keeps your cooling bill down and you and your family healthy. Sadly, contractors sometimes cut corners in order to work faster or save costs, leaving the home and the homeowners vulnerable to the above mentioned problems. What Should Proper Roofing Ventilation Look Like? Regular or standard attic vents should be placed every 9 feet or so to ensure proper ventilation. They are pretty effective in what they do and cheaper than continuous ridge vents. If you are unsure how many and how to place your ridge vents you can check out an online ridge vent calculator to ensure that your attic is properly ventilated. Continuous ridge vents are a great choice because they blend in nicely with the rest of the roof and are virtually undetectable while providing great ventilation. They are pricier than standard vents, but many homeowners are willing to pay extra for the more refined look. Because they are at the peak of the roof they provide optimized ventilation. There is no doubt that proper attic ventilation is essential for the health and longevity of your roof and home, and even the health of your family. If you think your roof vents need to be inspected or that your Arizona roof is insufficiently ventilated, contact your Arizona roofing contractor to assess your ventilation and to make recommendations on how to improve it. Allstate Roofing has been providing quality roofing services to Glendale and surrounding areas for many years. 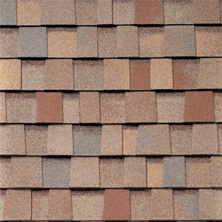 We can assist you with tile, shingle, flat roofs, and -of course- roof ventilation issues as well. Contact us today to learn more about the multitude of roofing services we offer.